Prague has stood the test of time, but the floods of August 2002 threatened to ruin centuries of culture and history forever. Happily, the waters were no match for the robust landmarks and iron will of the people of this ancient kingdom, and the city is back, better than ever. Here, the last 1,000 years of triumphs in art and architecture have collided, often violently, with power politics and religious conflicts. While Bohemia has been the fulcrum of wars over the centuries, it has settled into a post-Cold War peace, spiked with a rough transition to a capitalist economy. But the city sees itself as the western most of former East Bloc capitals, and Praguers wince when they hear the term "Eastern Europe" used to describe their home. On arrival in Prague , you will be met by our ground team and escorted to the executive style coaches. The airport is approximately 20-25 minutes from the centre of Prague. The premier hotel of Prague is located on the banks of the celebrated Vltava river; the Four Seasons inter-weaves centuries of architecture with highly personalised service and tomorrow's technology, all within the exceptional historic and cultural heart of this most elegant of cities. Overlooking the Charles Bridge and Prague Castle on the banks of the Vltava, Baroque architecture, 21st-century comforts and intuitive Four Seasons service unite in an atmosphere of true luxury. 19:30 Historical tram ride around the centre of the town - Staromestska, National Theatre, Vyton, Lesser Quarter, Karlovy Lazne - and then on to the Mlynec Restaurant. 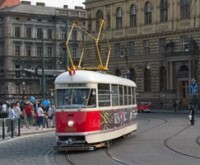 Enjoy the ride through the stunning centre of Prague by a historical tram; there will be an accordion player and a sparkling white wine will be served on board. Sit back and enjoy beautiful views and sounds of Prague. The Mlýnec Restaurant is located in Prague Old Town and is situated in an ancient mill with a superb view of the Charles Bridge from the terrace. The restaurant was completely reconstructed last year after the floods and provides the setting for an incomparable dining experience. The half-day tour will take you to the glassworks company in Nizbor, which was recently returned to its original owners  the Rückl family. 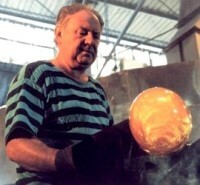 It is an example of a glass factory with a tradition of more than one hundred years. Between the two world wars the company produced a wide assortment of both everyday household glassware and decorative glassware, including all types of hollow glass and crystal and it manages an extensive commercial network at home and abroad. The owner of the company, Jiri Rückl, now continues in the family tradition of manufacturing and marketing high-quality Czech crystal, including service sets for the table, decorative items for the home, liquor sets and perfume bottles. The Spilka provides an authentic and evocative atmosphere within the confines of a brewery. The restaurant was opened in 1992 to comemorate 150 years anniversary of the foundation of Pilsen Brewery which is located in a former fermentation cellar, so called spilka , directly in the grounds of the brewery. The tour to Pilsner Urquell brewery includes a visit to the brewing house, the historical cellars and tanks and a video projection about the famous Czech brewery. 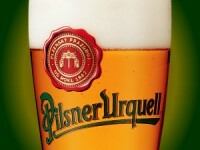 The tasting of the world famous 12% beer Pilsner Urquell will be a part of the visit together with a beer glass souvenir. 20:00 Please congregate for pre-dinner drinks in the Vltava Suite. 20:30 Dinner at Four Seasons Hotel in the elegant Karel Ballroom. 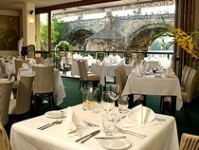 The setting is superb for a Saturday night dining experience and the food and service are both second to none. 09:30 Hospitality Desk opens to help you plan your day in Prague . The Renaissance castle of Nelahozeves is located 25 miles north of Prague high above the Vltava River . Nelahozeves is also well known as the birthplace of Antonin Dvorak, perhaps the most famous Czech composer. The castle was constructed in the mid-16 th century by the nobleman Florian Griespeck of Griespach, an influential member of the court of Emperor Ferdinand I. The castle remained in the property of Griespeck family for only three generations. In 1623, the castle was purchased by Princess Polyxena Lobkowicz and has been owned by the family ever since. After the overthrow of Communism, the castle was returned to the Lobkowicz family in 1993. Inside Nelahozeves castle, you can find the new, permanent exhibition of the most important pictures and art objects from the Roudnice Lobkowicz collection. The bridge, courtyard and Arcade Hall will be illuminated with candles and historic guards with halberds and arms will be standing along the bridge in front of the Castle. Upon arrival in the courtyard, guests will be welcomed with fanfares by costumed trumpeters in the castle windows. The welcome drink will be accompanied by musicians playing period music with historical instruments, creating a unique ambience for the evening. Those who are interested can visit the exhibition on the second floor of the Castle. The rest of the group may listen to renaissance musicians playing at the Arcade Hall. On April 1, 1997 in the presence of President and Mrs. Vaclav Havel, the former Prime Minister and other dignitaries from around Europe, a unique exhibition was opened at Nelahozeves castle entitled "Six Centuries of European Art Patronage." This new exhibition reflects major themes of the cultural and political history of Bohemia and Europe from the Renaissance until the late 1930's. The installation incorporates important paintings by Bellotto, Bruegel, Canaletto, Cranach, Rubens, Velázquez and Veronese to name a few. Also featured are a major collection of furniture, sculpture, ceramics, porcelain, glass, metalwork, family photographs, manuscripts, arms and armour that adorned the Lobkowicz castles. The historic castle rooms provide the setting for a unique dining experience. The chefs, who have been trained in many of Prague 's finest dining restaurants and hotels, including the Four Seasons, will offer an excellent menu of international and traditional Czech dishes. There will be a coach transfer from the Four Seasons Hotel to Prague Airport . 11:15 Flight departure. Scheduled to arrive at 11:55 local. There will be a business class catering service and a complimentary bar.